an empty picture frame (without the glass) – i got this pretty one at the Goodwill for $1.99! 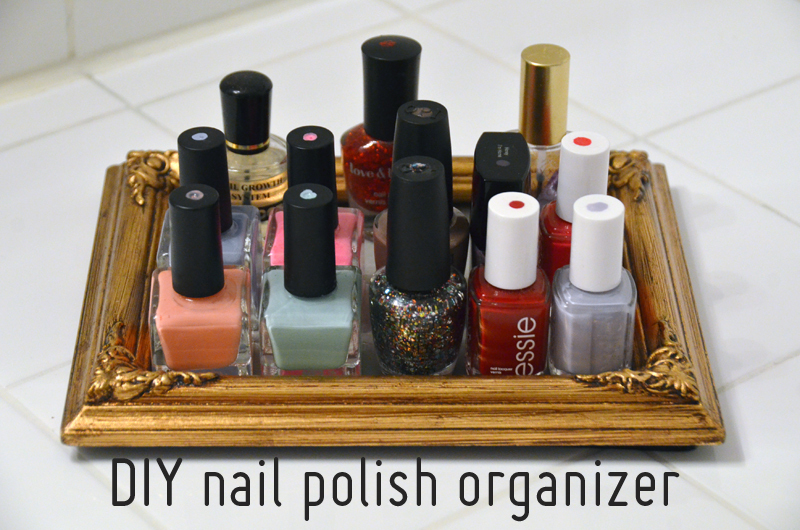 you can use a smaller or larger frame, depending on how many bottles of polish you have. your bottles of nail polish! 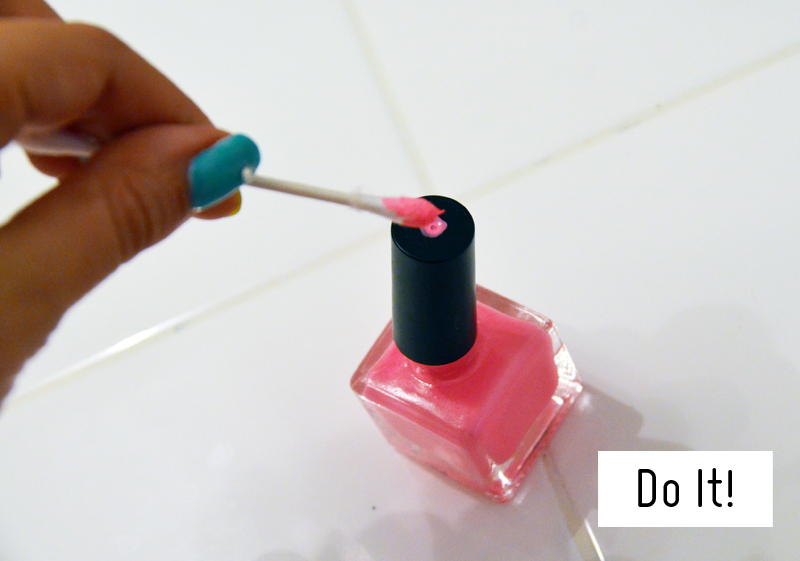 use a cotton swab to paint a drop of color on the top of each nail polish bottle so you know what color is which when it’s arranged in the frame. 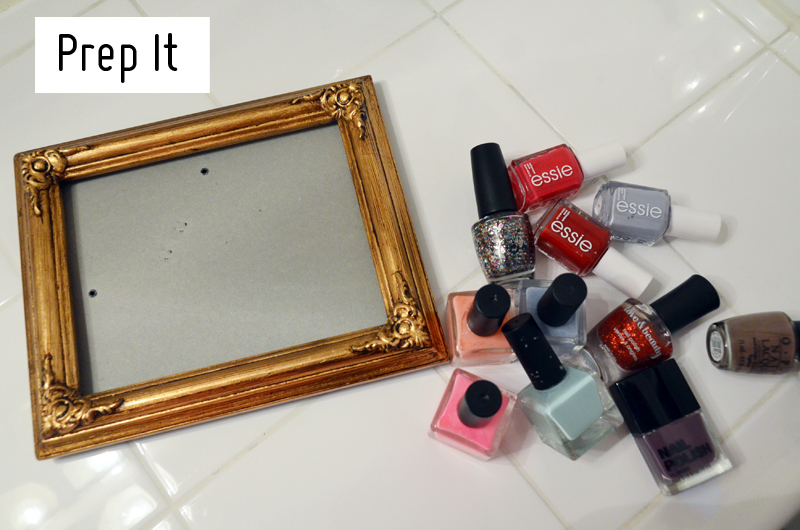 lay your empty frame on your surface (dresser, vanity, bathroom counter) and arrange your polish bottles within the frame. arrange according to brand and shape and don’t worry if the color is hidden, you’ll be able to tell which one is which by the dot of color on the top of the cap! 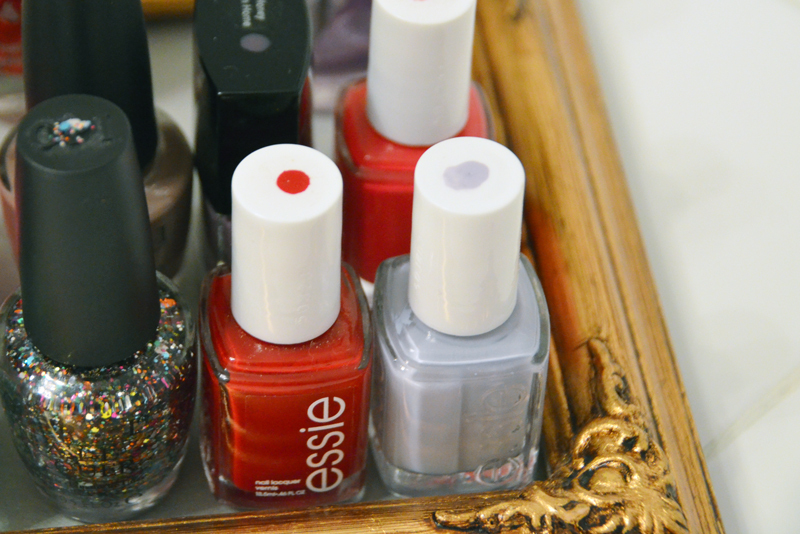 use pretty glass candy jars to organize your colorful polish bottles. a spice rack mounted on the wall is a cute way to display all of your bottles – i’d do it in rainbow order! 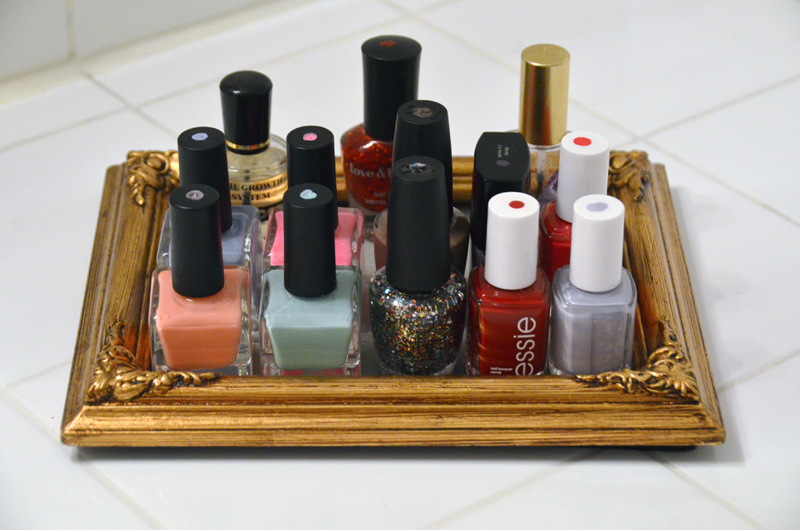 or you could opt to buy a rack made to store nail polish and display it on your dresser or mount it on your wall. this rack is $35 from Amazon. hope that helps Gabriela! thanks for your question and good luck with your organizing! got a design, style or anything question? ask me here! My husband is always exasperated because I leave my nail polish bottles everywhere. He is going to freak when he sees this!